Many people have allergies or chemical sensitivities. Lyme patients tend to have an exaggerated version of these sensitivities. It is no surprise with the amount of “products” that we surround ourselves with that this causes problems for people in general. Even our more recent ancestors did not have to face this. Besides pollution, pesticides, household products, industrial products, and the more well-known pollutants, there are many that we don’t think about. How often do you read the label on the shampoo or lotion that you use on your body daily? How often do you look at your carpet or laminate flooring and think about the toxins it releases into the air you breathe? How often do you think about the cancer causing agents released into the air in your car from the plastic components, or the water bottle you carry with you that leaches carcinogens into the water you drink? When you start to look around, it becomes apparent that there is no avoiding all of these toxins and pollutants in our current society. We are surrounded by it. We are not even informed of most of it. We all turn a blind eye for convenience without thinking of how inconvenienced we will be when we get deathly ill. So what do we do? If there’s no avoiding it, what options do we have? It’s true there are certain things we can’t control, like what chemicals are put in our tap water or the fumes released when we fill up for gas. What we can do is control our exposure in our home and surrounding environments as much as possible. We can choose what products we use at home and on our bodies. We can choose to eat food that is not laden with chemicals and processed junk. We can filter our water. We can become educated and aware and make choices based on that. I’ve provided some basic information on what to be aware of and some alternative options based on what usually causes the most widespread problems. I won’t go into food items here, as I have already covered that extensively elsewhere on this website. As a basic rule of thumb….if you have an allergy or sensitivity, try to narrow down what is causing it and remove it from your environment. If you can’t remove it from your environment, move yourself to another environment. How do you know what is safe? The best thing you can do is educate yourself on what to look for. Just like you would avoid partially hydrogenated oils or sweeteners in food products, you learn what chemicals to avoid in body and home products. I have provided links to the right with lists and descriptions of the most common problem chemicals that are found in home, body, and food products. Start reading labels and looking up ingredients. You can always look for the MSDS (Material Safety Data Sheet) of any product or ingredient and read the known dangers. Look up the same chemical on the FDA Product & Ingredient Safety List and you may be surprised how many are shown to be “safe” for use in cosmetics, household products, and even food. It may be hard to believe, but many of the products we use daily on our bodies contain some nasty chemicals that truly should never be used. Our skin is a permeable organ that absorbs good and bad into our bodies, so it is important to pay attention to what we expose ourselves to. “I use all natural products” you might be saying to yourself. Even more caution is needed with these. Just because it says all natural does not mean it is good for you, particularly in the case of products containing essential oils. Essential oils are powerful concentrated chemical compounds that have many beneficial and medicinal qualities. They are readily absorbed through the olfactory nerves and the skin; then into our bloodstream and tissues. However, they take other things with them including whatever toxic chemicals may also be in the product. So, if you see a label that contains essential oils, look to see what else it contains. Some of the most common toxic culprits in cosmetics are Lanolin, Talc, Formaldehyde, Parabens, DEA & TEA, Sodium Lauryl Sulfate (SLS), and Polyethylene Glycol (PEGs: PEG-80, PEG-150, etc…) Even Vaseline and Baby Oil contain Mineral Oil, a petroleum product. The problem with the FDA review of these products is that it doesn’t take into consideration the fact that you don’t put a product on your body once in your life. Many of these products are used once or twice a day, every day, and these chemicals continue to build up in our bodies. Use your own common sense and discretion when you see that something is “safe.” Consider how often it is used and what it is combined with. Better yet, if it’s a known causative agent to diseases such as Cancer or Endocrine disruptors…..avoid it like the plague. You can always make your own soaps, lotions, massage oils, shaving cream, etc… It takes a little bit of investing in supplies, but it ends up being cheaper in the long run and you are in complete control of the ingredients used. I make all of my own soap and give it away as gifts as well! To learn more about Making Your Own Products see below. Although not a complete list, see the resources listed on this page for the manufacturers that I trust and have grown to love. I would also recommend finding a local course on how to make your own soap, candles, and household products using essential oils. I have made my own for years and give them away as gifts for the holidays. Now if I buy any from the store it smells like chemicals to me. It’s so much cheaper in the long run to make your own. I find I enjoy them more, too. 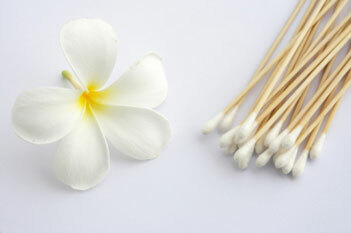 How often do you think of the fragrances you are exposed to daily in a multitude of products and what they are made of? All fragrances are chemical compounds, even the ones made from pure essential oils. The difference is that synthetic fragrances are far from their natural origins and often cause allergies and inflammation. Fragrances made from pure and genuine essential oils tend to have powerful therapeutic effects as nature intended. They should be used sparingly and with caution, but are the safest choice. If you are buying commercial products, look at what is used for fragrances. Buy as much fragrance free/unscented products as you can. But, read the ingredients, fragrance free doesn’t always mean unscented. You can always add your own essential oil blends in for fragrance. You can make your own perfume blends. And you are much better off using essential oils for room and air fresheners than the commercial ones. See the Sleep & Relaxation and Recipes pages for more ideas. Most of us are aware now that plastics and other petroleum products are harmful. But how aware are we really? There are so many places these products are hidden; do you know what to look for? Plastic water bottles are perhaps one of the worst things to have entered our culture. Not only are they incredibly wasteful, but they leach carcinogens into our water. True, it takes some heat for it to get to toxic levels, but how do you know how hot they got on the truck during transport and delivery? Plus, trace amounts leach into it over time regardless, and it all builds up in our bodies. Instead, buy a reusable water bottle. Make sure it isn’t coated in plastic, that it is BPA free, and isn’t made or coated in other petroleum products. Get a good water filter for home and fill it up daily (see the Water page for more info). Non-stick pans and plastic utensils and cups should also be avoided. Get a good set of dishes, stainless steel pans and some wooden utensils, take care of them, and you’re all set for better tasting food without toxic chemicals. They’ll last longer, too (see the Recipes page for Kitchen Essentials). If you’re going to use or make candles, ONLY use soy wax or beeswax. It burns clean and is non-toxic and biodegradable. Standard candles are made from paraffin, a petroleum product that leaves soot and pollutes the air you breathe. There are many ways that you can eliminate exposure, re-use items, and make your own expendables. Most people don’t think this way anymore, but I also try to eliminate waste as much as possible. You’d be surprised the environmental impact our excessive disposable lifestyle has. From a completely different perspective, we save so much more money re-using what we can and making our own products. Two things that always come to mind for me are diapers and feminine products. I grew up learning to use cloth diapers instead of throw aways. Not as convenient, a little more work, but so much cheaper and better for your little ones. I ran across Gladrags in my early twenties and I have grown to love them more and more over the years. I was able to use the very first ones I bought for close to 15 years (and I could have kept using them, but I decided to replace them). They are the most comfortable feminine products I have ever used. I forget I’m even wearing them. It does take a little bit of time and money to invest in supplies and learn how to do this, but it will save you time and money in the long run. You can find books to learn the basics of Melt & Pour soap making, lip balms, bath salts, etc. I would recommend finding a course to take on Cold Process Soap making because it requires the use of Lye and an understanding of the chemistry of soap making. Caution should also be used in making candles as they do have a flash point and temperatures are critical. It is all fairly easy to do if you take the time to learn it. There are also some recipes on the Recipes page for some of my favorite “From Scratch” products. It can double as gifts and it’s fun! Just don’t forget to write down your recipes so you don’t forget. Make sure you visit the Essential Oils page to learn more about safely handling them. You don’t have to have an array of essential oils and fragrances, or a wide selection of fancy molds. Start with some of the cheaper and most effective Essential Oils like Lavender, Lemon, Orange, or Peppermint (just read up on them first!). It is usually best to ask for samples of fragrances before buying in large quantity. Just because it says it smells like a rose, doesn’t mean it does. The same goes for mineral make-up bases (that’s right, you can make your own make-up!). The color isn’t always as nice in person as it is on the internet. Save old pots and pans, old spoons, measuring cups, knives, cutting boards, rags, etc…. you can dedicate these to your endeavors. Keep soap making and candle making supplies completely separate and label them so you don’t forget. Save old candle containers, jars, tins, etc. You can always re-use these for your products or candles. Again, keep them separated. 5) Make your own molds. You don’t have to spend a ton of money on molds. You can if you want to, but you can use almost anything for soap, particularly melt & pour. You can use an old loaf pan and cut it into bar size pieces after it sets. Save any shavings you may have and roll them into soap balls (your hands are warm enough to shape these). You can use any container for liquid soaps or bath salts (although plastic can cause problems when using essential oils). You can use Dixie cups for votive candle molds (although they are not re-usable and wasteful). You can use any container you can think of that isn’t flammable for container candles. Keep small containers for mixing and storing mineral make-up. If you know you are going to be making your own products for the long term, it is always cheaper to buy in bulk. Especially for raw ingredients like soap bases or wax. 8) You don’t HAVE to use fragrances or dyes. Clean and clear never hurt anyone. 9) Create a bath & body group. Get a bunch of family, friends, or neighbors to chip in. You can make it an event every few months and have everyone come over and help, and then split the cost of the ingredients. You are helping to keep costs down, and helping yourself and others use healthier products! You could even get creative and turn it into a “spa day” and give yourselves pedicures, manicures, and facials at the end of the day! Save old cleaning bottles and spray bottles for making your own household cleaners. Just make sure you wash them well to eliminate mixing harmful chemicals together (like ammonia and beach….this combination can kill you if inhaled!). See the House & Home page for more details. What you put on your body is just as important as what you put in it. What's It Like To Live With Chemical Sensitivities?